Join us at the Mint Museum for an appetizing cultural experience. 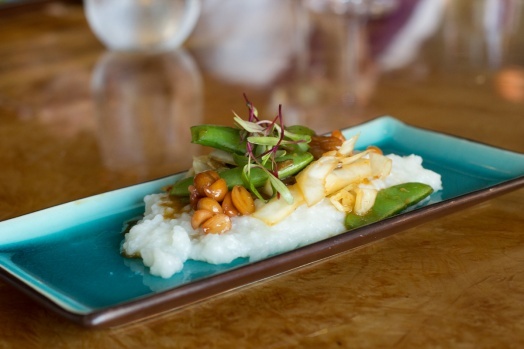 Participate in a one-hour food tasting tour with small plate and drink pairings at remarkable restaurants near the Mint including Halcyon, Flavors from the Earth and other culinary partners. After your tasting, unwind with a one-hour exploration of the arts led by a museum expert. Explore the American, Contemporary, and Craft + Design collections as well as special limited-engagement exhibitions with a knowledgeable specialist. Looking for something more hands-on? Instead of a tour you can sign up for a one-hour sketching experience in the galleries. Materials are included and all skill levels from beginner to advanced are welcome. Groups must be 12 – 35 people. Tours must be scheduled 30 days in advance. Available by reservation on Wednesdays and Thursdays between 2 – 5 PM, and Sundays at 1:30 PM. Public programs are posted on the Mint’s Events Calendar.